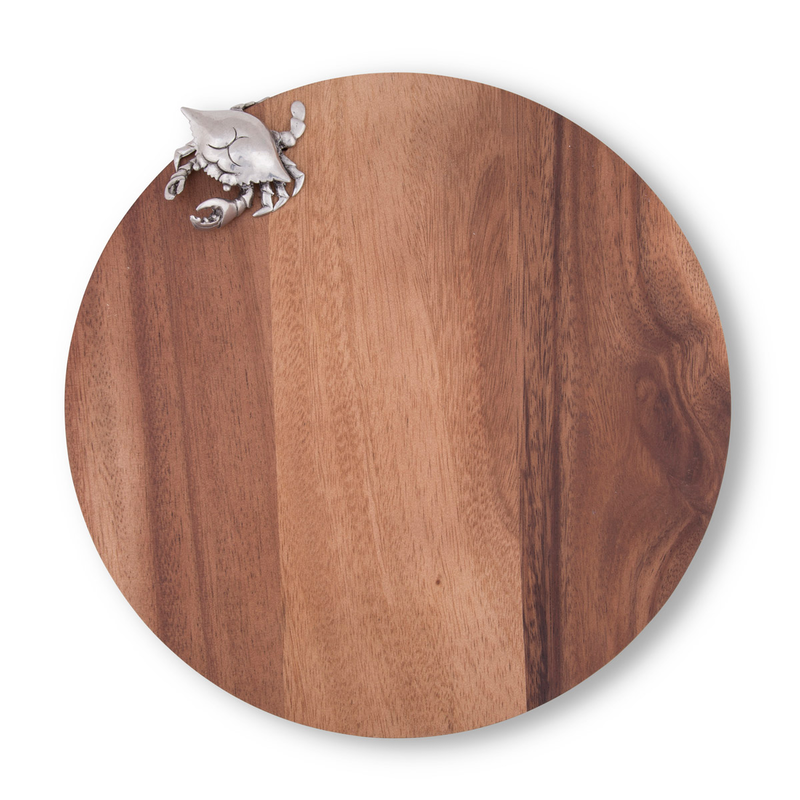 Make a statement in your dining room with the Blue Crab Cheese Board, adorned with lustrous, golden toned acacia wood accented by a detailed pewter Maryland blue crab embellishment for a true oceanside feel. This coastal kitchen decor ships from the manufacturer. Allow 3 to 4 weeks. Cannot express ship. For many more pieces, we ask you to take the occasion to view our complete variety of coastal kitcen decor at Bella Coastal Decor today.